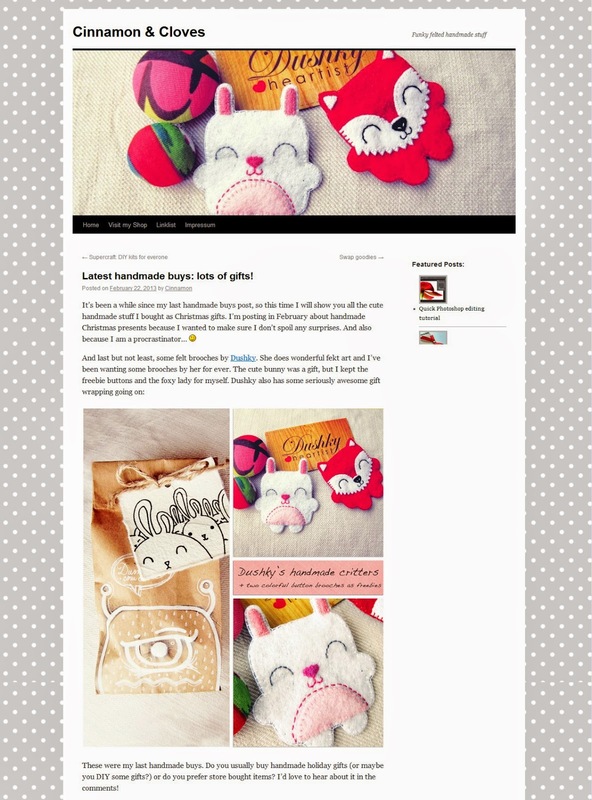 This week's feature comes from a dear person, a fellow blogger and crafter from Cinnamon & Cloves. She got a pair of square monster pins from me quite a while ago, and she was kind enough to write an article on her blog with her purchases. I'm super glad that my creatures got included and that she liked them so much. Make sure to check out her accessories, they are really nice and I should know, I have some myself. Click on the picture above to see full article.